TripA�to Auroville is never complete without an early stop at the modest yet popular bakery with its quick to disappear croissants and breads. Well, if you have a hankering for the chocolate or apple-cinnamon croissants or a loaf of walnut and basil bread back in Chennai, just fill up a form. 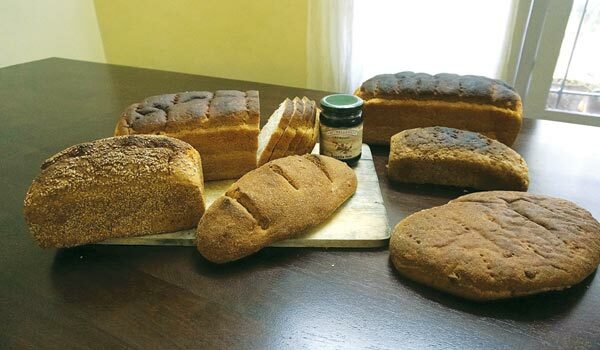 When Naturally Auroville, the store on Khader Nawaz Khan Road, stopped stocking said baked goods a couple of years ago, it was entrepreneur Aurovrata Veneta��s bread delivery system that filled the gap for many,A� a well-kept secret in Chennai. a�?I used to drive down to Auroville on work and bring back bread for myself. Soon friends and neighbours began placing orders and it began to get difficult to keep track. That is when the idea to create an online form came up,a�? says Venet. a�?Now everyone can go on my website and choose the bread they want. The order has to be placed the night before, and once I have 100-150 orders, fresh loaves will be picked up and, by 5 pm the next day, you can either drop by my office (in Thiruvanmiyur) or opt for home delivery (at an extra Rs 120).a�? The breads start from Rs 35 a loaf and he encourages customers to order four to five loaves at a time, which can be frozen and used when needed. He plans to include other products from Auroville, like peanut butter and jams. 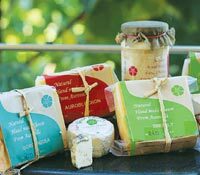 Another popular food item in Auroville, cheese a�� think La Ferme and Mango Hill a�� is also making its way to Chennai homes. 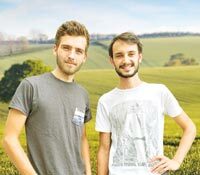 While a few department and gourmet stores stock some brands of Auroville cheese, two business graduates, Leo and Bastien, decided to expand the offerings last year. They set up their website, Cheese in Chennai, which sources at least 10 varieties from Auroville (the brands remain a mystery). a�?As French cheese lovers, we felt a real lack of it when we arrived in Chennai. My business partner Bastien was on a trip to Pondicherry and he discovered very nice cheeses there that were not easily available in the city. That is why we decided to start the website,a�? explains Leo. Be it Gruyere, farm cheese, Lofabu, cheddar, and more, buyers can stock up at their residence in Kotivakkam every week with free service for orders above Rs 1,000. Leo says more than 60 per cent of their clients are Indians. a�?At first, we thought our customers would be expatriates, but we were totally wrong! Indians are very curious about food and love cheese. The jeera cheese is most populara�� the cumin seeds possibly remind them of Indian food,a�? he adds. Next up, Leo plans to expand his services to restaurants and include charcuterie (cold cuts).